Tab Brown hadn't gotten a win in nine starts. Despite going six innings and giving up two earned runs, Brown didn't get one this May 1990 night either, The Sumter Item wrote. "Tab held us where we wanted to be for six innings," Sumter manager Ned Yost told The Item. "He did very well. I thought this was going to be Tab's first win." 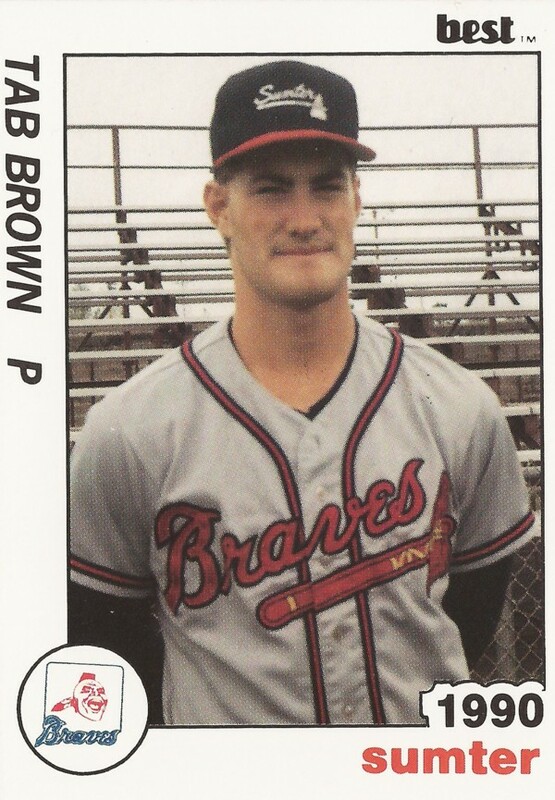 Brown ended up getting five wins that year for the single-A Sumter Braves. They were the last five wins of his brief three-season professional career. 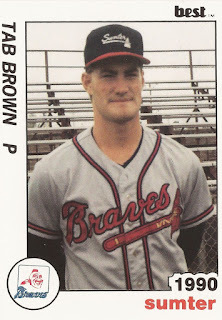 Brown's career began in 1989, taken by the Braves in the second round of the draft out of St. Xavier High School in Louisville. At St. Xavier, Brown had an RBI single, helping his team to within two wins of the state title. Brown played his first professional season at rookie league Pulaski, going 7-3 in 13 starts. He gave up 39 earned runs in 69 innings, for a 4.83 ERA. Moving to single-A Sumter in 1990, Brown went 5-7, with a 3.49 ERA. In July, though, he nearly pitched a complete-game shoutout. Only a first inning error allowed a run to cross. The error came on a toss to first, with Brown covering. First baseman Joseph Roble couldn't get it there to record the out, The Item wrote. "Tab pitched very well tonight," Yost told The Item afterward. "In fact, that's a play where Roble should have taken it himself." In all, Brown got 22 starts in 1990, striking out 69 and walking 43. Brown, though, didn't play at all in 1991. He returned in 1992 for three final starts, at single-A Macon. He went 0-2, giving up six earned runs in 10.2 innings of work, ending his career in single-A.